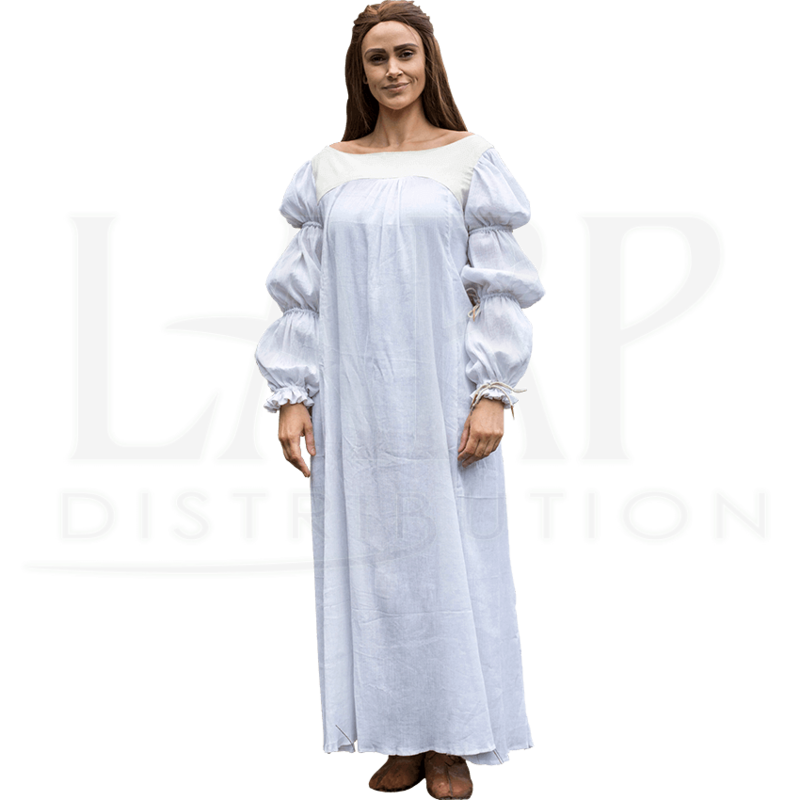 Typically worn as a nightshirt or as an undergarment, a chemise was a staple to medieval fashion. Now you can dress in the medieval style with the Lucrezia Chemise! Its length and opacity will ensure the protection of your modesty. This off-white shift possesses poufy sleeves that can be tied with laces to best fit your arms. Its length, which reaches the ankles, is perfect for wearing under other medieval gowns and makes an excellent night dress for sleeping in. Add it to your LARPing wardrobe, your reenactment apparel, or your cosplay outfit and complete your look!